Fall for this Pumpkin Spice Latte Pudgie Pie! Colorful leaves, crisp temps, and pudgie pies? 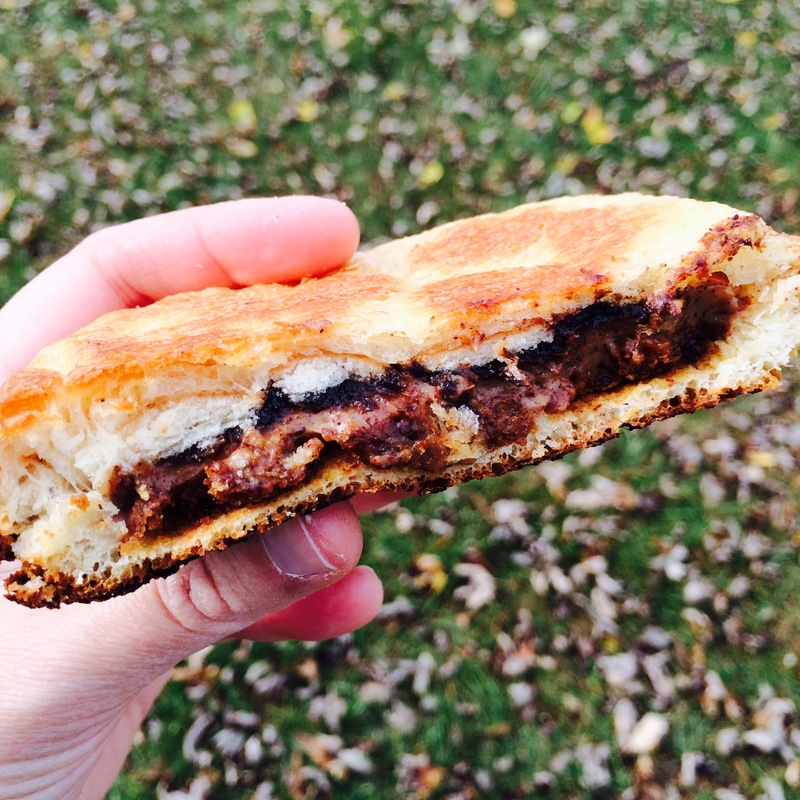 That’s right, fall doesn’t mean the end of pudgie pie season! If it’s too cold to go camping, remember that you can make pudgies over a fire pit or grill in the comfort of your own backyard. 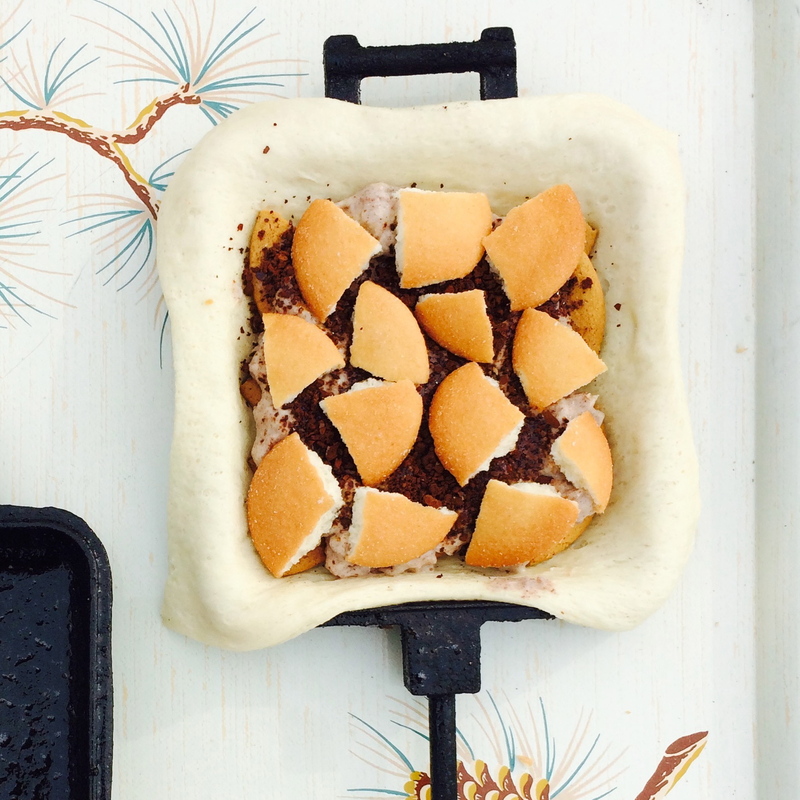 What better way to welcome autumn than with a piping hot pudgie pie! It took us a few (tasty) tries, but we finally developed a pumpkin spice latte-inspired pie that’s so good, it’ll leaf you falling right autumn your chair! 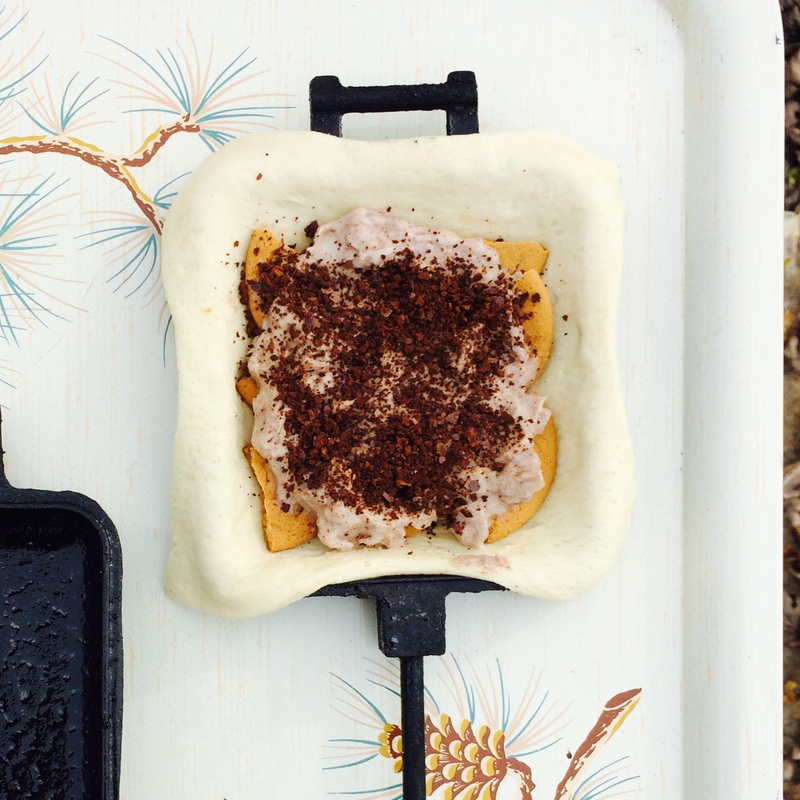 Place crescent roll dough in a greased iron and top with ginger snap cookie pieces, vanilla pudding mixed with pumpkin spice, and sprinkle with instant coffee. Top with vanilla wafer cookie pieces and lay another piece of crescent roll dough on top. It’s a whole latte YUM! Spray pie irons with cooking spray and place 1 piece of crescent roll dough inside. You can make 2 pudgie pies per tube of dough, just cut it into 4 equal pieces. Stretch the dough so it overlaps the sides of the iron and press down gently. Next, mix the pumpkin spice into the pudding cup. You’ll have some extra, so feel free to sample it. Place ginger snap pieces in a single layer on top of the dough, and top with ¾ of the pudding mixture. Sprinkle with instant coffee and top with a layer of vanilla wafer cookie pieces. Lay the other piece of dough on top and close up your iron. Cook over a fire or grill until dough is puffed and golden. It will be difficult, but let that pudgie pie cool at least 4 minutes before digging in. 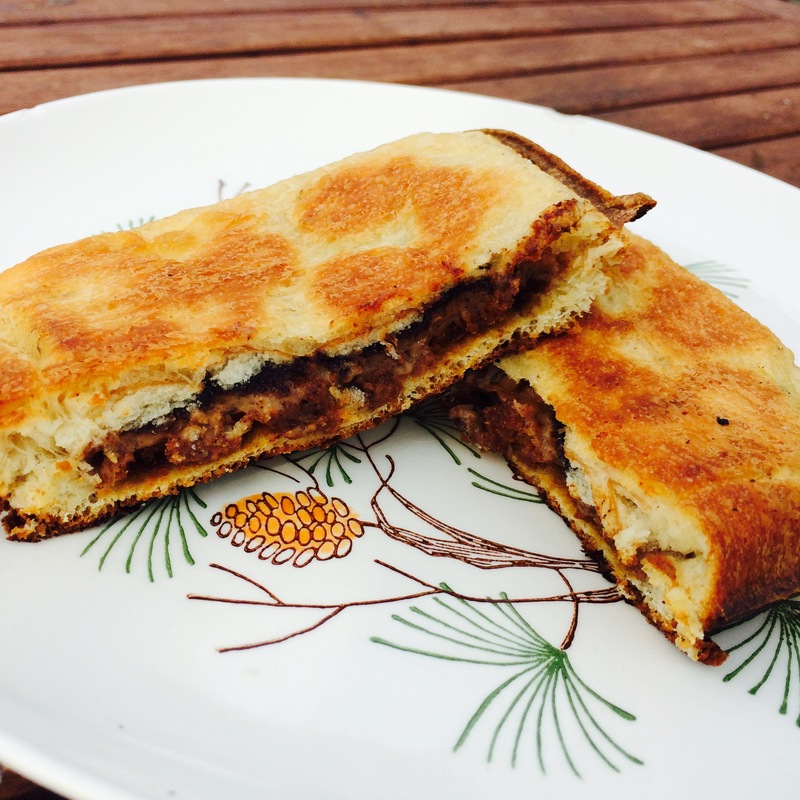 Categories: Recipes | Tags: campfire, campfire pie, camping, cookbook, fall, hobo pie, jaffle, mountain pie, pudgie pie, pudgy pie, pumpkinpie, recipe | Permalink.